"Fiber Broadband" is a super-fast broadband internet service that presents you a new internet experience with different speed options up to 200 Mbps through the fiber optics network. 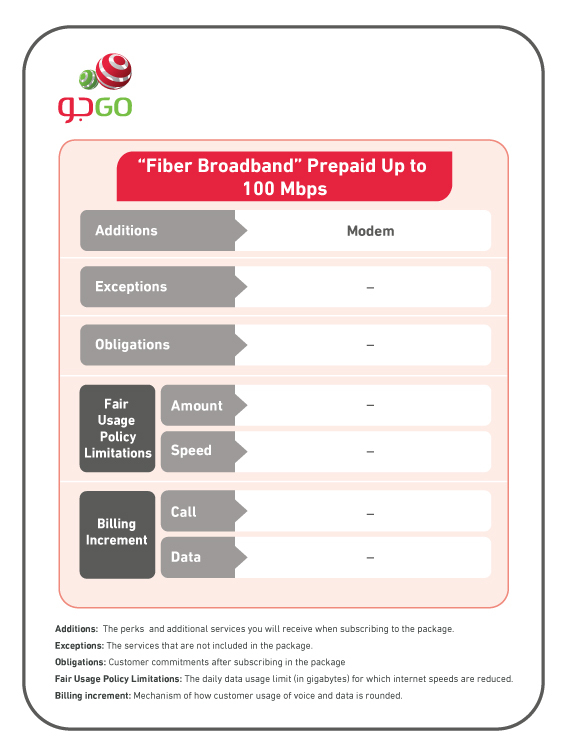 "Fiber Broadband" is your best choice when connecting your home. High Speed internet of up to 200 Mbps. Ideal for those who need high speeds,whether it is for downloading,streaming or gaming. Different packages and plans that suits your needs. Hassle Free: as a prepaid subscriber you can enjoy this service with "no monthly bills".